We recently decided it was time to offer our customers another option to help solve the TPS problem that continues to plague some K-Series owners. 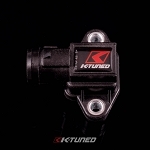 The K-Tuned B-Series TPS Adapter is a simple 2 piece adapter that makes it possible to use a 1988 to 2001 B-Series TPS on the RSX Type-S style K-Series throttle body. Note that this adapter can also be used on several aftermarket TB's as long as they were originally designed for the standard Type-S TPS. 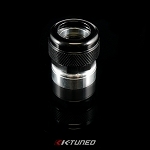 The mounting holes on both the K and B TPS are identical, so mounting is very simple using a billet aluminum spacer. 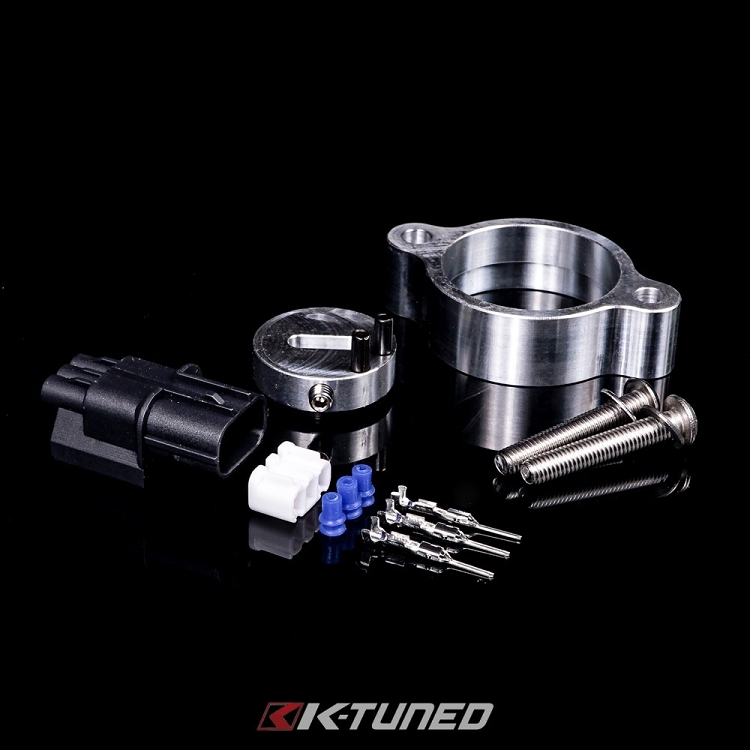 For the actual shaft to arm conversion, we designed a small round adapter that bolts to the shaft of the K throttle body with a set screw. This adapter piece has two posts on it that will hold the arm on the B-Series TPS. 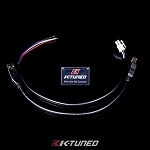 For wiring, we provide a female K-Series TPS plug and 3 terminals to connect to the B-Series TPS plug that is cut off the old engine harness. 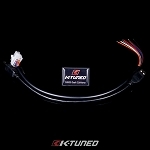 The idea here is to make an adapter so that you will not need to cut your K-Series engine harness. All that's left is calibration, which is just like all Honda TPS sensors, set the reading to 0.475 volts closed and the wide open reading should be approximately 4.5 volts. 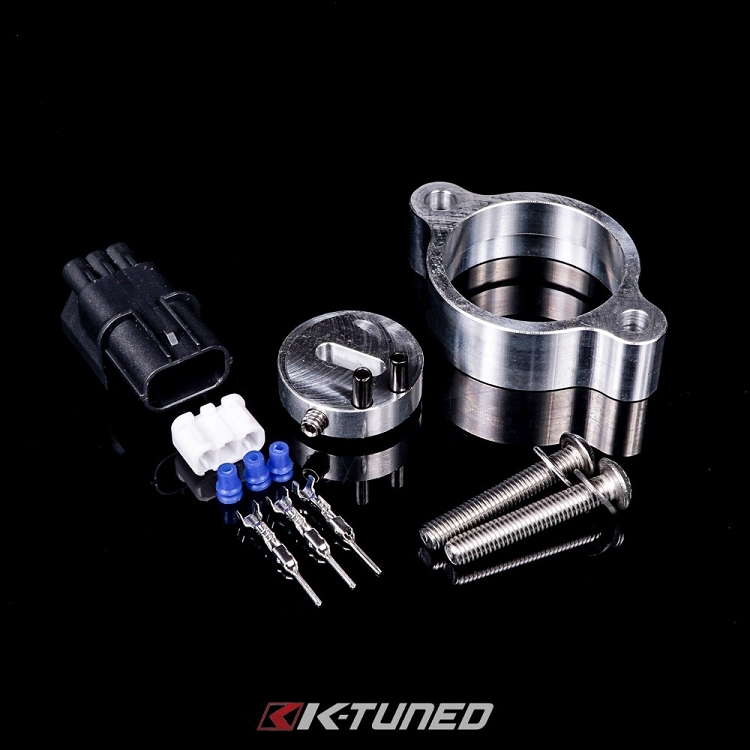 Our kit includes the 2 piece adapter, female TPS plug, 3 terminals and stainless steel hardware.